SHOULD VIET NAM BE SLAPPED WITH TRADE SANCTIONS? | ILLEGAL WILDLIFE TRADE. SHOULD VIET NAM BE SLAPPED WITH FULL TRADE SANCTIONS? Since 2012 International Animal Rescue Foundation Africa’s (Cyber and Environmental Crimes Team) have been investigating Viet Nam’s illicit and illegal wildlife trade more closely than we’ve ever done. Back in January 2015 I Dr Jose C. Depre the (CEO) ordered a meeting with both units from the Environmental Cyber Crimes Team and External Affairs Unit); both focusing on the ground and online trade of illegal wildlife contraband. My aim was to increase both online and ground team investigations to begin breaking the back of these ruthless criminals throughout Asia and Africa. 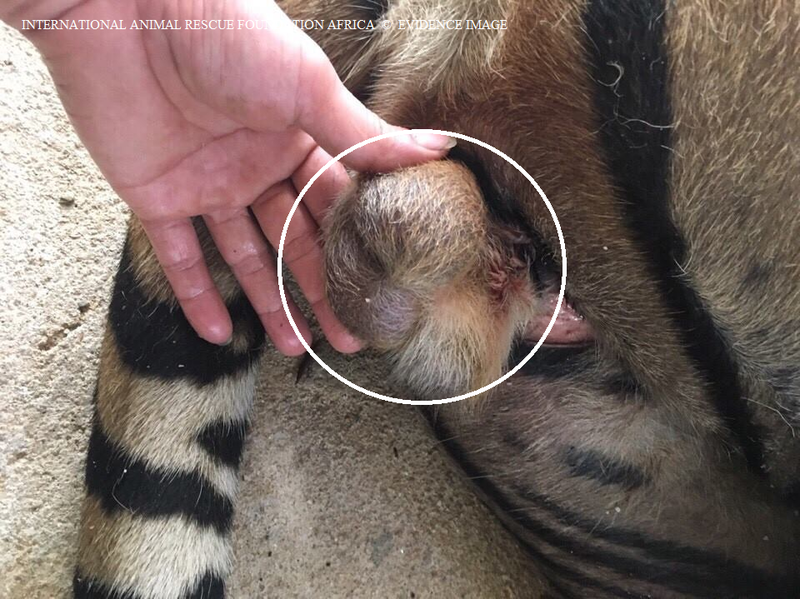 International Animal Rescue Foundation Africa since founded have conducted 1,033 investigative surveys relating to all areas Viet Nam’s illegal wildlife trade (online and ground trade). However it wasn’t until January 2015 after uncovering a colossal rhino horn trafficking ring within Thailand and Viet Nam that we eventually decided Viet Nam had to be investigated more in-depth – all of which has resulted in a number of arrests and confiscation orders this year alone. The ongoing investigation was ordered due to a suspicion that the illicit ivory trade was increasing in Viet Nam too. Furthermore various organisations, media and press had stated that Viet Nam’s wildlife trade was actually decreasing, neither of which was true!. I.A.R.F.A’s investigations aren’t just focused on Viet Nam. Specialist teams locate traffickers, suppliers and even poachers. These highly trained investigative officers move from one country to the next discretely monitoring and following various traffickers and kingpins (not forgetting befriending others too – which in many cases can be quite dangerous). While most of our investigations have focused primarily on Viet Nam, China, Thailand, Laos, Japan and Malaysia. Investigative officers have also been working within Uganda, Angola, South Africa, Namibia, The Democratic Republic of the Congo, South Sudan, Niger, Nigeria and Burkina Faso (among many other countries). In four days time South Africa will be hosting the next Conference of Parties (CoP17). The Convention on International Trade in Endangered Species of Wild Flora and Fauna (CITES), that now hosts some 184 CITES signatories which will be debating numerous issues relating to both flora (plants) and (fauna) animals. The meeting will take place from the 24th September to the 5th October (2016). Back in 2011 Interpol estimated the extent of the illegal wildlife trade between $10 billion and $20 billion per year. This figure has gradually increased since 2014. The illegal wildlife trade isn’t confined to just one country. Many countries around the world host wildlife trafficking and dealing routes extending to every continent. Conservationists say the problem is most acute in Southeast Asia. There, trade linkages to key markets in China, the United States, and the European Union; lax law enforcement; weak border controls; and the perception of high profit and low risk contribute to large-scale commercial wildlife trafficking. The ASEAN Wildlife Enforcement Network (ASEAN-WEN) ASEAN Wildlife Enforcement Network, supported by the U.S. Agency for International Development and external funders, is one response to the region’s illegal wildlife trade networks. Figures from 2014-2015 have shown a startling increase relating to the funds generated from the illegal wildlife trade. Today illegal wildlife trade is estimated to be worth US$50-150 billion per year. The global illegal fisheries catch is valued at US$10-23.5 billion a year and illegal logging, including processing, at US$30-100 billion. (Source: Illegal Wildlife Trade 2014-2015). So as one can see no matter how many meetings we’ve been holding the illegal wildlife trade is skyrocketing to levels that we’ve never seen before. The question is though, how do we as environmentalists stop this, how can we force violating countries to take notice? International Animal Rescue Foundation Africa have been calling on CITES for more than five years now to impose trade sanctions against offending countries. Unfortunately CITES and their signatories haven’t in our opinion taken a blind bit of notice, especially when it comes to Viet Nam that has been blacklisted as ‘possibly the largest threat to global wildlife on the planet?’. A trade sanction (which is what we want placed against Viet Nam and other offending countries) is a trade penalty imposed by one nation onto one or more other nations. Sanctions can be unilateral, imposed by only one country on one other country, or multilateral, imposed by one or more countries on a number of different countries. Often allies will impose multilateral sanctions on their foes. From 2015 we (the organisation) have located a staggering $13.5 million (USD) of illegal wildlife contraband – most of which is being traded online via various forums such as Facebook within secret groups. (You can view a some of the contraband we investigative via our Facebook page here). On speaking to numerous traders to try and understand why this trade was being conducted on line; the traders have always stated: (Its more safer to trade, they can trade to a wider market without the need to carry their products over many miles. Finally, its quicker to trade into large private buy and sell forums anything that would be deemed ‘hot to handle’ such as Rhinoceros horn, elephant ivory, and pangolin parts (Etc). Image: Mr Tuan advertises the authenticity of recently smuggled rhino horn 11th August. I.A.R.F.A have located over 21 African Rhinoceros horns traded illegally online and via ground markets since 2015 when we began our new anti wildlife trade operations and, 9 Indian One Horned Rhinoceros horns (all authentic). Mr Tuan, a Vietnamese national had no qualms whatsoever proving the legitimacy of his recently smuggled horn from South Africa. Anti Wildlife Trade Officers were invited to Mr Tuan’s Hanoi antiques shop of which in the back room were four recently poached Rhinoceros horns. I.A.R.F.A Anti Wildlife Trade Officers posing as interested buyers were offered the above in liquid form as a ‘so called aphrodisiac’. 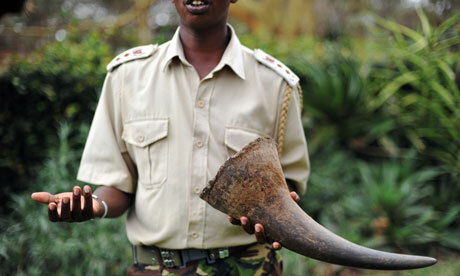 Image: Mr Tuan prepares to sell this horn to I.A.R.F.A investigators. 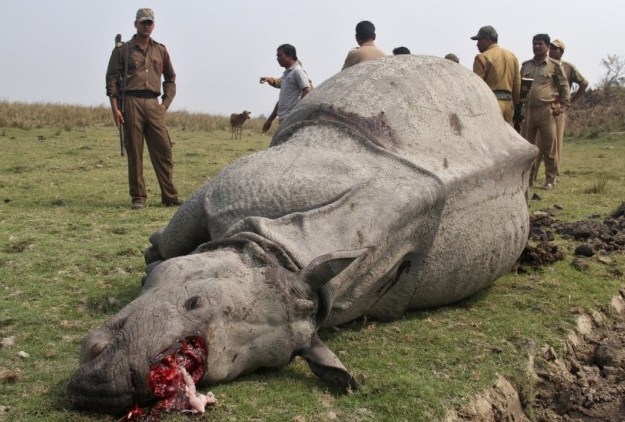 The above horn was measured up, weighed and offered to I.A.R.F.A investigative officers for a total of $4,000(USD). While the officers declined a small sample was purchased so that we could test the authenticity of this horn. Vietnamese investigative officers working with (I.A.R.F.A) the very next day took the sample to Viet Nam National University of which tests later revealed the horn originated from an African Rhinoceros based on the horns DNA. 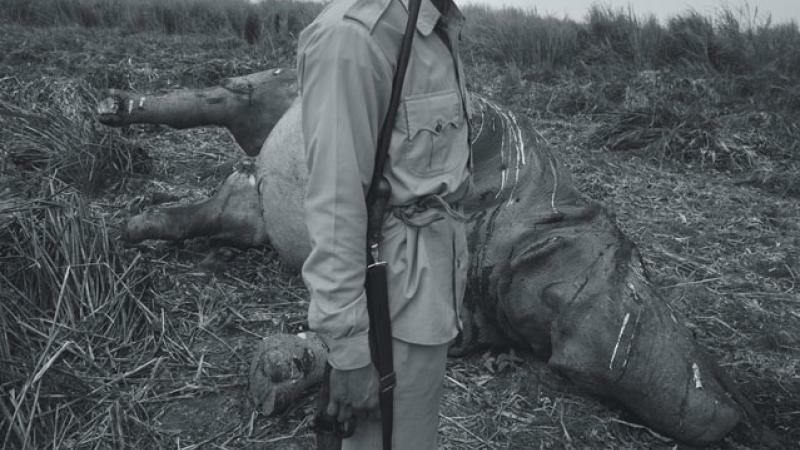 Image: One of Viet Nam’s many Rhino horn kingpins. Mr Tuan. While we don’t make a habit of exposing ‘wealthy wildlife trade kingpins’. As we’re nearing the (CoP17 summit) we believe its time to begin naming and shaming some of the dons behind this ruthless trade in order to communicate our message far and wide to all CITES members that enough is enough, sanctions must be placed against all violating countries. Mr Tuan doesn’t just deal in large quantities of authentic Rhinoceros horn neither. Ivory, pangolin parts and the critically endangered Indochinese Box Turtle also fill Mr Tuan’s home and antiques shop. So Mr Tuan if you’re reading please do say cheese. Meanwhile Mr Tuan is just a small piece of the ever-increasing illegal wildlife trade iceberg. In one group that we’ve been monitoring for over two years that’s yielded 9 arrests thus far this year (which we cannot name for legal reasons). Some 33,000 individuals all over the globe are trading ivory, tiger parts, bear claws, pangolin scales and critically endangered moon bear skins (among many other items). The vast majority of these online traders that lead investigative officers to some ground locations are either Vietnamese, Chinese, Malaysian, Indonesian, Indian, Belgium, Australian, American and Canadian traders. One trader was even located in London W12, and two others dealing from Paris, France. Image: Thailand smuggled endangered pangolins. Rhinoceros horn is the least likely wildlife trade product that we come-by, simply because of its price, rarity, and the fact so many people around the globe are now putting their foot down relating to this animal part. Unfortunately its not just Rhinoceros horn that we witness being sold illegally online and on the ground. Mr Tu Su whom lives in Ha Tan, Viet Nam was clocked on the 19th August 2016 trading these smuggled pangolin parts online illegally. Every year there are numerous arrests throughout Asia and convictions relation to pangolin poaching and trafficking, however no sooner is one dealt with – another smuggler and trader rears their ugly head, and can you blame them? All four Asiatic pangolins are now considered extremely rare to the point they’re nearing extinction. Furthermore as the species becomes more rarer – prices increase. These 6 pangolins were trading between $600(USD) and $1000(USD) each. Mr Tu Su has has quite a reputation relating to pangolin smuggling – so for the record below is Mr Tu Su’s face. Image: Mr Tu Su – Pangolin smuggler and trader. Image: Mr Tu Su – Pangolin soup. All 8 species of Asian and African pangolins are ‘listed under Appendix II of CITES’, which means trade is regulated and monitored under CITES, (permits are required from exporting countries for any trade activity). To issue a permit, the exporting country must determine that this activity will have no detriment to the wild population. 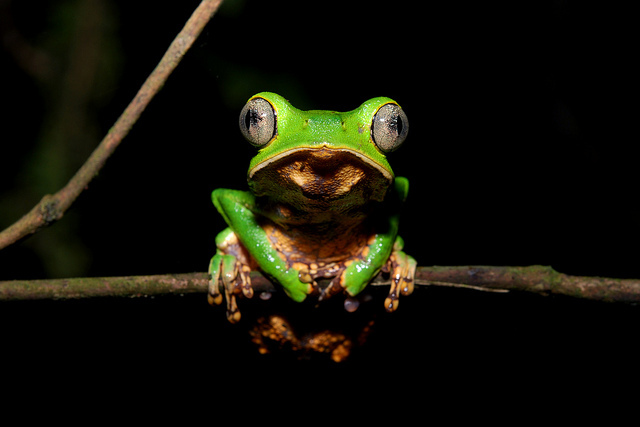 As an additional protective measure, the CITES authority passed a (zero export quota for the four Asian species, which bans all commercial trade in these species). However, other purposes (scientific, research, etc.) can still be authorized by permit. For the four African species, there is no zero export quota, which means commercial trade is not prohibited, but permits are still required. Pangolins are also protected in their range states by domestic wildlife laws. So Mr Tu Su if you’re reading then please note you’ve violated both domestic and international law, we’re holding your details too! International Animal Rescue Foundation Africa have increased investigations relating to the illicit wildlife trade. Our two main areas of focus is that of the Rhinoceros horn trade and the ivory trade. Since 2015 our investigations surrounding the illegal ivory trade (have located a staggering $6 million(USD) of ivory smuggled from Africa into Thailand, China, Malaysia, Singapore and, Viet Nam. Image: Ivory trafficked from Tanzania onto Viet Nam. Ivory trader and trafficker Mr Ban Me from Buôn Ma Thuột, Đắc Lắk, Vietnam was observed on the 16th August 2016 trading the ivory above online in one of three secret Vietnamese and Chinese ivory trading online forums. The ivory above is estimated to be around $6,500-$8,000(USD) for the lot. Mr Ban Me makes no effort to conceal his lucrative online trade neither. When investigating this trader and trafficker we went back through many months of posts within the secret forum, then managed to locate Mr Ban Me who is aged around 35-30 years old. On locating the trafficker/trader it appears from the online evidence that ivory is coming in quick, measured up and weighed, of which either himself or friends then soon after set about to carve the ivory into jewelry. Image: Ivory measured up and weighed for sale and carving. Since January 2015 (International Animal Rescue Foundations) Environmental Crimes Officers have underneathed new trading trends relating to the ‘online wildlife trade’. As explained in previous articles most traders nowadays will take delivery of illegal wildlife contraband. From there the wildlife parts are then photographed (as seen in the image below). Traders will either then set up a ‘pseudo Facebook profile’ or already have one in place. The Facebook profile will act as a mobile online shop. Most traders and traffickers we’re investigating today use this method of online illegal trading. They know by using a throw away or cheap (non-traceable cell phone) that any chance of them being located is slim. Traders are rarely seen selling in bulk on the streets of Viet Nam or over the borders in other Asian countries. Buyers and traders feel safer trading, swapping or trafficking items uploaded to the internet. Mr Ban Me takes delivery of a large quantity of ivory every month from Africa, most of which has been illegally trafficked into China. Once carved the items are then photographed again to sell online within secret trading rooms to hundreds if not thousands of people. The ivory seen above and below was ‘advertised’ to an audience of over 33,000 individuals. So as you can see its incredibly difficult for us or any investigate organisation to track in quick time where these products are originating from and ending up. Traders use these rooms online because they know selling to a wider-ranged audience products can shift quickly. Unfortunately for Mr Ban Me we have his contact details, his address, his cell phone numbers, and even know who is selling too and buying from. Image: Carved ivory on sale from the tusks observed and intercepted online. Another shocking ‘concern’ is that Mr Ban Me ‘could be purchasing ivory from Thailand elephant traders’. I.A.R.F.A have known for many years now that ivory tusks are being shaved down from Asiatic elephants. A trace of Mr Ban Me’s cell phone images revealed further evidence that showed himself photographing Asian elephants onto his ‘Facebook ivory profile’. Should this be true – it will prove to be further damning evidence that elephants are being exploited within Asia for the ivory trade on a much larger scale than previously documented. Image: Ban Me photographs Asian elephants onto ivory Facebook profile. The only image we have of Mr Ban Me is that of his wood workshop in Viet Nam (pictured below). The entire Facebook profile (like many thousands more we have and continue to observe) depicts that of ivory and few rose wood products. The question is though – who’s supplying this young Asian man with ivory? I.A.R.F.A have demanded that Facebook and the F.B.I take action against this illicit trade, and even supplied the Social Media platform with an 11,000+ petition signature however as yet nothing is being done to combat this trade? Image: Mr Ban Me carving wood in Viet Nam. where ivory is also traded. Back in December 2015 International Animal Rescue Foundations (Environmental Crime Officers) passed hundreds of pages of evidence onto international law enforcement agencies and Interpol relating to illegal wildlife traders. There have been numerous arrests due to our investigation and, from that investigation other individuals have been looked into resulting in new investigations and arrests too on a global scale. However no sooner is one trader stopped – another one pops their ugly head up from the sand and begins trading. Image: Mr Ban Me’s ivory Facebook shop profile – ivory tusks, and carved ivory jewelry. A further trader that ‘openly admitted to I.A.R.F.A Environmental Crimes Officers tried to sell these tusks (pictured below) to an I.A.R.F.A investigator. Going under the name of Mr Thường, from Hanoi Viet Nam, he like Mr Ban Me made no effort whatsoever to conceal his hoard of illicit ivory – most of which was from African elephants. Furthermore he too like Ban Me had created a ‘pseudo Facebook profile to trade illegally elephant ivory’. Image: One of many thousands of online Facebook ivory trading profiles. Viet Nam banned the ‘domestic ivory trade back in 1990’. Furthermore there has been an ‘international ivory trade ban in place since 1989. Unfortunately while these bans have been in place – there are loopholes within some ‘countries domestic trades’ which permits them to trade ‘legally elephant ivory despite international and domestic bans’. Furthermore ivory can to some extent be sold legally within Viet Nam should the products be antique or purchased before the ivory trade bans. However neither of our investigative officers have located any evidence to prove any of the ivory we’ve located was purchased/obtained legally before any bans were implemented. Damning evidence sent to law enforcement agencies around the globe also proves that ivory is being smuggled from Africa onto Japan and China then back into Viet Nam – Three countries known for their continued ivory trade violations. While the ivory trade continues to rage out of control there are unfortunately many other illicit and illegal wildlife trades that are increasing within Viet Nam. I.A.R.F.A have noticed a very ‘alarming spike’ of bear parts, mostly moon bears for sale online and on the ground. Environmental Wildlife Crime investigative officers located this species [pictured below] – Ursus thibetanus on the 8th September 2016. The species is identified as the Ursus thibetanus and is listed as [vulnerable] on the (IUCN RED LIST) of threatened and near endangered species. 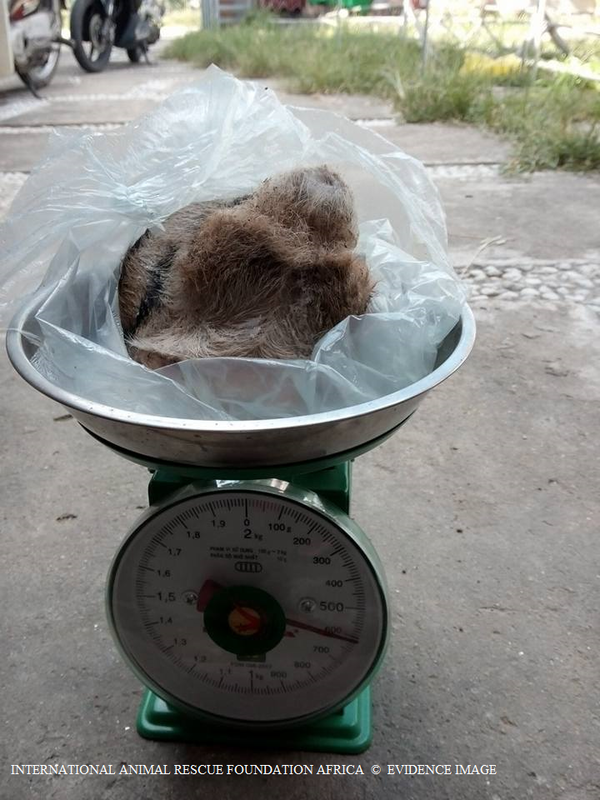 Image: Ursus thibetanus (Moon Bear parts) Viet Nam (2026). Moon bear pelts, teeth, claws and bear bile are not exactly an uncommon species of animal to be located wihtin Viet Nam’s numerous medicinal markets, although its not common to view the species as it is above on sale within open markets. Bear bile has not decreased in sale on the TCM markets whatsoever in my humble opinion, in fact we (the organisation) hold very recent and damning evidence to prove that bear bile farming practices are sill very much operational. So damning that it does in fact bring many Non Profit Organisations into question with regards to their allegations of practically stopping this trade, when clearly its not being stopped! Due to many counterfeit animal products on the markets, before any investigation is undertaken – Environmental Scientists will conduct routine examinations of purchased bear bile products to check their authenticity. These examinations are undertaken to store and maintain evidence files, to secure closures of illegal markets or, for further secondary investigations. I.A.R.F.A Wildlife Trade investigative officers located the following bear bile products on the market in Viet Nam. A kilogram of farmed bear bile might cost $240, while the same amount from a wild bear could cost $15,730. 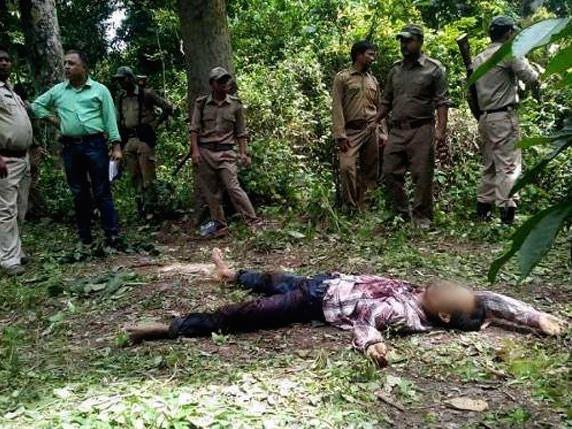 Investigative officers were told the bile seen hereto in the image below was from wild bears, however we highly doubt it due to the lack of Asiatic black bears in the wild. Each bottle below was offered to investigative officers for just over $200(USD). I.A.R.F.A Wildlife Trade investigate officers did purchase three at a price of $600(USD) which is considered cheap. The ‘liquid was tested at the Nong Lam University of which proved to be 100% bear bile. Image: Asiatic Moon bear bile in mass production with gall bladders. Image: Plastic wrapped gall bladders and bile. Bear bile does not whatsoever hold any medicinal properties whatsoever, if anything consuming bear bile can actually increase health complaints. The barbaric practice is ‘illegal in China and Viet Nam’, Viet Nam banned bile production back in 1992, sadly the trade still goes on to some extent. Fortunately Viet Nam have stated they’ll be eliminating this horror come 2020, however we’re not holding our breaths just yet. Mr Nheo who is aged around 21 years of age from the Huong District, living in Hanoi Viet Nam (pictured below) if you’re reading my friend you may want to stop trading pangolins, tiger parts, bear bile, tiger teeth, bear teeth and claws and ivory today. Bear bile hosts no medicinal properties whatsoever so why you’re trading this vile product – which leads to the destruction of bears for we don’t know.. Image: Mr Nheo – Illegal wildlife trader from Hunong District, Viet Nam. At the last Conference of Parties Summit (CoP15 – Thailand), Viet Nam made a promise to crack down on the countries illegal wildlife trade back in 2013. Although there was no actual deal made, Cites signatories did categorically state that should Viet Nam want any say in the ‘legalized international trade of rhino horn’ the country must clamp down on illegal wildlife trades and markets. I was at the last CoP summit of which Viet Nam agreed it was time to reduce their illegal trade markets – or face the consequences. The whole purpose of this article and many others is to ‘highlight Viet Nam’s lies; the country hasn’t in my opinion made any progress to reduce their illegal wildlife markets, especially that of (critically endangered species). Yet Viet Nam has been identified as one of the leading countries to be approaching Cites for the ban to be lifted relating to the (international rhino horn trade). I ask myself daily – how is it possible for a country to control any legal trade if they cannot control the illegal trade of wildlife contraband?. I.A.R.F.A. 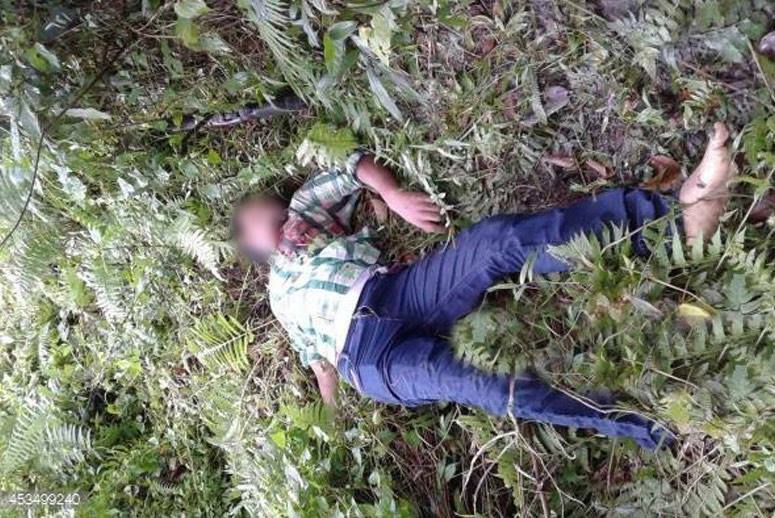 Environmental Crimes officers working online and on the ground furthermore have noticed a colossal spike in the number of tiger parts and dead tiger carcasses sold within Viet Nam’s illegal wildlife trade markets. 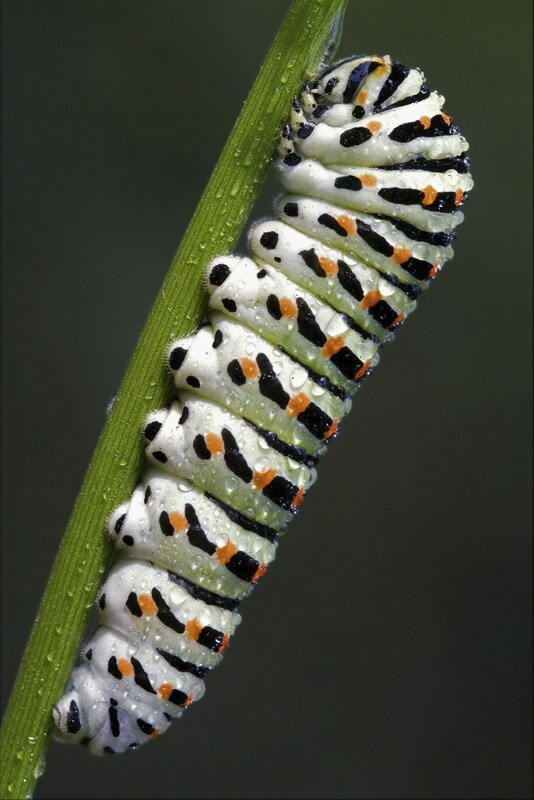 The image below depicts a trader that is privately trading tiger teeth. While the quantity of tiger teeth wihtin the image (below) may seem small. I.A.R.F.A Environmental Cyber Crimes officers have been carefully monitoring this trader for well over a year. The vast amount of tiger parts he’s trading is out of this world. Image: Tiger teeth for sale- Online Secret Wildlife Trading Forum. I.A.R.F.A have reported various tiger traders in Viet Nam to INTERPOL and local enforcement agencies. However as explained these bloody sickening traders, traffickers and animal killers continue to pop up time again. Most if not all the tigers that we are locating for trade (illegally) were ether captive tigers, smuggled tigers/parts from China and/or Thailand. While other specimens have actually originated from (pathology/veterinary universities inside of Viet Nam). Three months ago I.A.R.F.A working with overseas enforcement experts concluded – the rare Asiatic leopard we located within a wildlife traders apartment had originated from a veterinary university in Viet Nam. Meanwhile the tiger skins/parts below have originated from Thailand. The question is though from where, who is supplying this amount of tigers and parts to traders within Viet Nam? Image: One of many tiger skins offered to I.A.R.F.A investigators September 8th. International Animal Rescue Foundation Environmental Cyber Crimes Officers was offered this tiger pelt for $1,060(USD). The trader that operates under the name of ‘Mr Coivodich’ also deals in ivory, threatened Rhinoceros hornbills, and bear bile. Furthermore we have been monitoring a very ‘concerning trend relating to tiger skin wallets. Captive bred tigers are slaughtered of which their skins are turned into wallets – a craze that is now becoming incredibly popular throughout Viet Nam. Tigers in Viet Nam are supposed to be bred for conservation purposes only. Clearly though from the images below this is not the case. Image: Real tiger skin wallets packaged and ready for sale in Hanoi. Image: Unpacked real tiger skin wallet, priced at $70.00(USD) each. As explained tigers are supposed to be used for conservation purposes only. However we have located worrying evidence that makes Tiger Temple look more like a walk in the park. A famous Thailand Actor below is seen cuddling a drugged tiger at the Sriracha Tiger Zoo which we believed was a zoo inside of Viet Nam. (See image below). Unfortunately the tiger and this image eventually led back to Thailand, of which this zoo has been named as a horror ground. 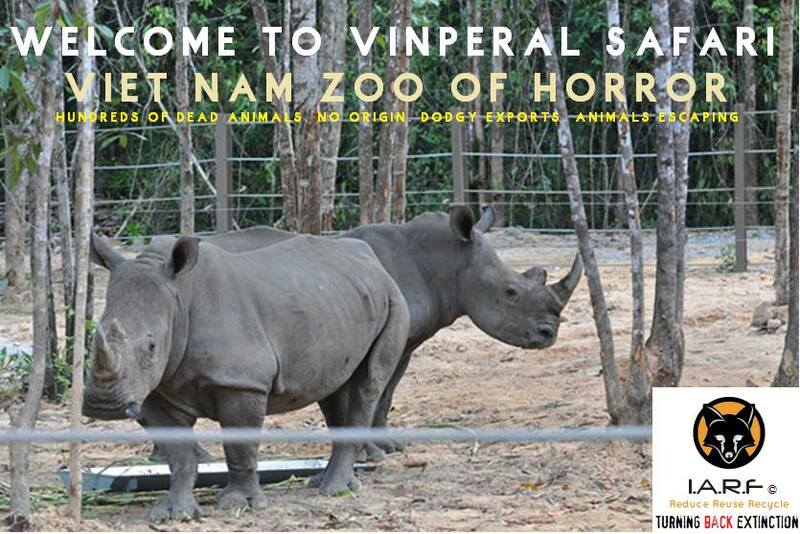 Would it be wise to assume that tigers are originating from this zoo and ending up within Viet Nam’s wildlife trade? We don’t know. What we do know for sure though is this zoo is now under close scrutiny. Image: Chen Yunan coaxes drugged tiger in Thailand. Image: Ranya Rao coaxing drugged tiger in Thailand. International Animal Rescue Foundation’s Environmental Crimes teams have been working on our new anti wildlife trade project since 2015 being now the ninth major project that we have conducted in the past three years. Most of the evidence we are locating in relation to wildlife trade violations isn’t always within China – a lot of these violations are in fact within Viet Nam. We are now under four days away from the next Conference of Parties (CoP17) to be held within South Africa, Johannesburg. 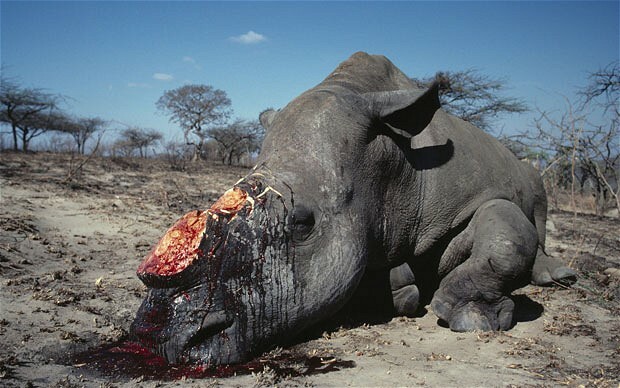 CoP 17 has been set to be the largest summit held, and as such we may see countries such as Viet Nam asking Cites signatories to agree to a lift of the international trade ban in Rhinoceros horn. Every article that we’ve published in relation to Viet Nam shows the country cannot be trusted with relation to the international rhino horn trade. Every article we’ve published also shows numerous violations of local and international wildlife trade laws. So the question remains. Is it now time to implement at CoP17 full part of full sanctions against Viet Nam to protect our local and international wildlife? I believe its now time. The evidence in front of you clearly shows Viet Nam’s refusal to act on their illegal wildlife trade markets. So how much more do we have to put up with before everything is eventually gone? Should Cites signatories lift the rhino horn trade ban we’ll keep to our promise. Being all those we know dealing in illegal wildlife products at high end market level will be named, shamed addresses published and that evidence released to the public. Video recordings, audio, images – everything. The balls now in Cites court – Don’t underestimate us, we may be quiet – but we’ll stay quiet for only a short time before we begin naming and shaming. VINPEARL SAFARI CONTROVERSY | UNFOLDING EVENTS. Controversy has been brewing wildly around Viet Nam’s first ever safari, where a total of either “108 or 115 animals died over the course of 1-2 months on the premises”, with a further “135 monkeys escaping from the premises”. 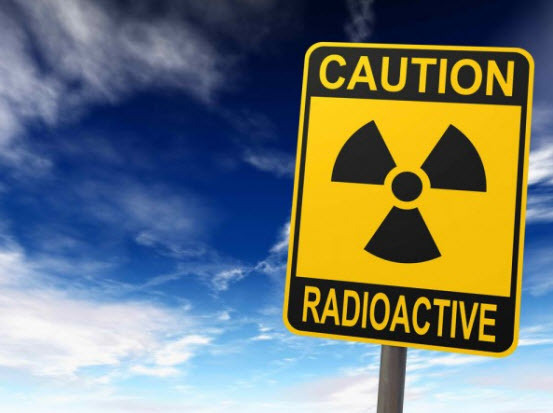 Biologists, Environmentalists, and Journalists have all tried in vain to obtain answers from Vinpearl, and Cites Viet Nam, unfortunately neither expert has actually received, or been sent paperwork that can place speculation, and allegations at rest. Down to investigating further as to why so many animals died on the premises. International Animal Rescue Foundation Africa was first informed about Vinpearl back in early February of this year (2016). 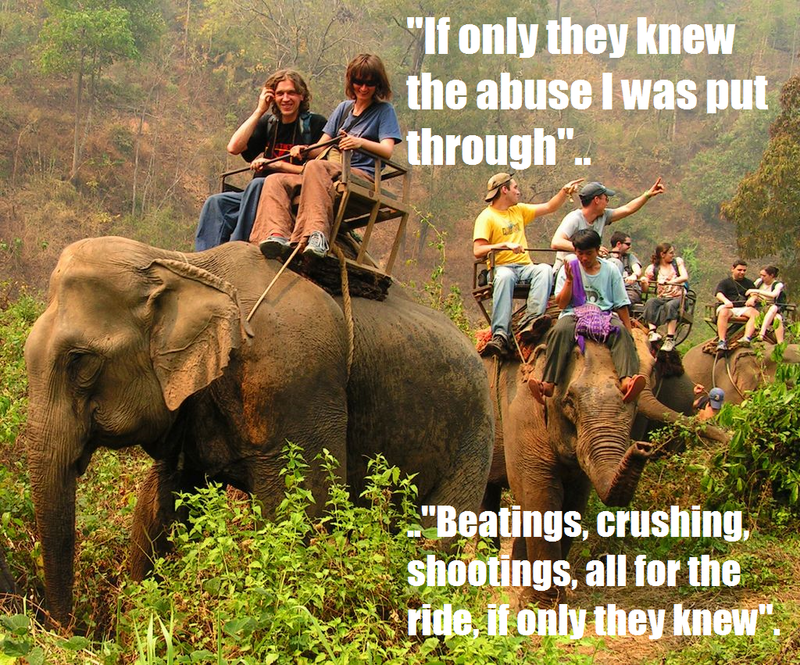 From the start of February 2016, we were emailed, phoned and sent various social media requests from many Vietnamese and foreign citizens asking us to investigate the Safari, and to look into other concerning allegations. International Animal Rescue Foundation Africa then contacted our Asian counterparts, and began painstakingly laying out all data for us to scrutinize. The following data that can be proven to some degree as (factual), is listed below for your immediate attention, and information. Vinpearl imported ‘we believe some 330 animals’ from South Africa, these animals ranged from giraffe, tigers, lions, monkeys, kudu, crocodiles, impala, and wildebeest Etc. The farm located in Capetown that supplied Vinpearl belongs to Mr Huong Que, who admitted back in 2014 to illegally de-horning and trafficking two rhino horns from South Africa into Viet Nam. Mr Huong Que, strangely, hasn’t been arrested for this offence. Furthermore a Viet Nam Cites officer identified as Mr Le Hoai Nam has been friends with Mr Huong Que on Facebook since (2014) when Mr Huong Que admitted to breaking South African and international law (2014). 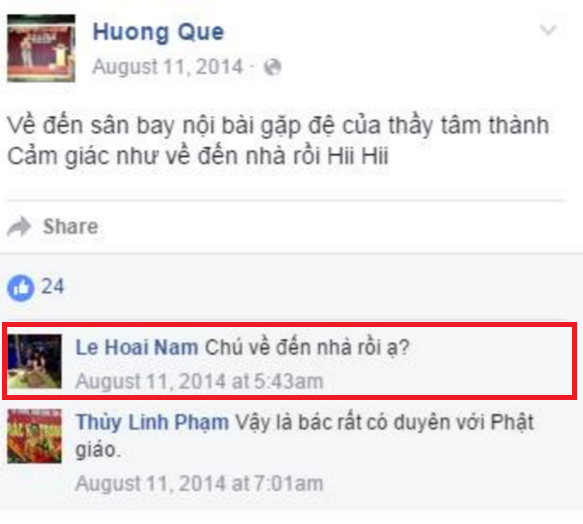 Based on Mr Le Hoai Nam and Mr Huong Que’s online communications, they seem to know each other very well. From the 12th February ‘it was alleged’ many ex-pats began leaving the island of Bai Dai, Ganh Dau Phu Quoc, Kiến Giang, Vietnam in disgust due to many animals dying, and escaping at the safari. Vinpearl Safari and the media stayed completely silent. Citizens of Viet Nam and abroad quoted as many as “4000” animals dying. However since media and press have documented on the case, Vinpearl have been forced to break their silence. Vinpearl then admitted (without showing evidence in the way of paperwork), that some “105 to 108 animals did die”, with a further “135 monkeys escaping”. Speculation then emerged that Mr Chu Dang Khoa, his ex-wife or (ex-girlfriend), and father Mr Huong Que were involved in the shipping of animals from South Africa, Eastern Europe and Asia into Vinpearl Safari. 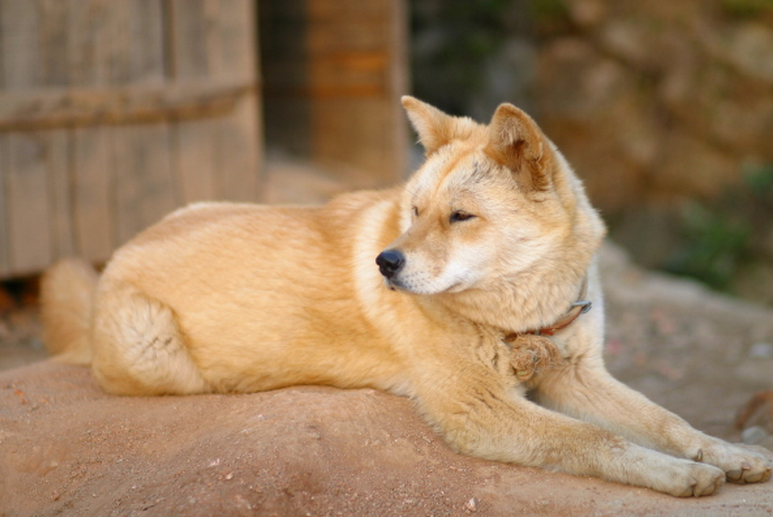 So far, to date we can prove that Mr Huong Que, and Mr Chu Dang Khoa’s ex-partner, were most certainly involved in the shipping of many animals from South Africa. We also know that Mr Chu Dang Khoa did once live on his fathers farm in South Africa, Capetown. However as explained Mr Chu Dang Khoa still doesn’t as such fit into the main picture. We do though find it somewhat coincidental that Mr Chu Dang Khoa’s ex-partner, and his father are involved in shipping animals into Vinpearl, many of which ‘we suspect’ have unfortunately died (that originated from the African continent). On the 24th February 2016, Vinpearl then stated the following within a press and media article, again showing no paperwork, or evidence to back this claim up: Total animals imported with permits is 2,236 individuals. As of Feb. 19, 2016 there are 2.2004 individuals living at the zoo, 12 individuals were born at the zoo upon their arrival. Then a total of 108 individuals died. 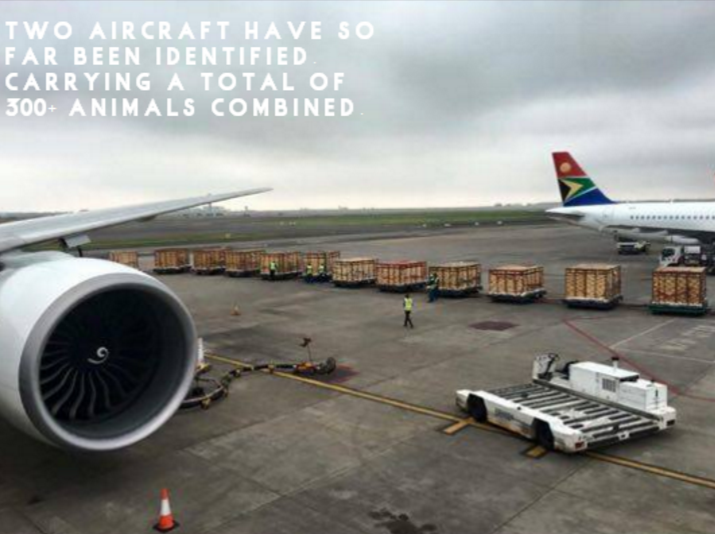 Image: Two aircraft are identified as shipping animals from South Africa. Points 1-4 are areas within our own environmental investigation that contain missing pieces of the jigsaw so to say. Furthermore where there is evidence of admitting criminal activity directly under the noses of a Vietnamese Cites officer I.e Mr Le Hoai Nam, then we have cause of concern. Below are questions that we require answering, of which we have already politely asked, however been refused answers, down to our own internet protocol address banned from emailing Vinpearl. The following questions are aimed at both Cites Viet Nam, and Vinpearl. CITES VIET NAM: We request that all permits relating to all 2,236 animals that were ‘allegedly imported’ to be made public, communicated to us via email, or letter (which will pay the charge), or made view-able to trusted press journalists and NGO’s? CITES VIET NAM: We request the full veterinary reports relating to each of the alleged “108 animals that died”, the cause of death, health reports, and data that can be examined in relation to all of the alleged 108 animals health ‘prior and before entering Vinpearl Safari”? CITES VIET NAM: What relation does the Vietnam Cites Officer identified as Mr Le Hoai Nam have in connection with Mr Huong Que? Is this relation professional, or are the two merely friends? 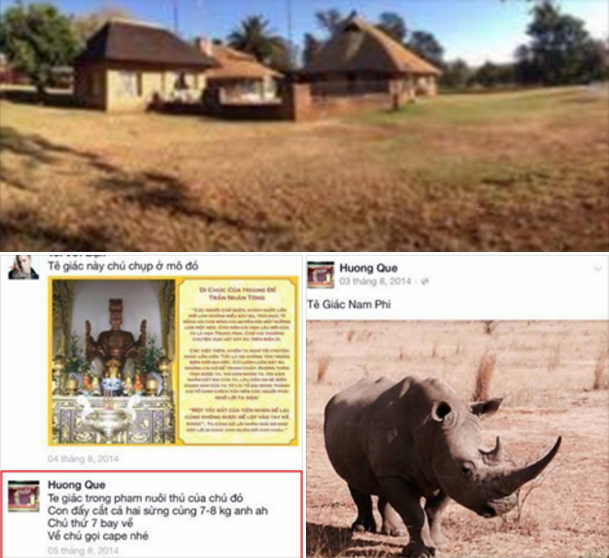 Furthermore when Mr Huong Que admitted to illegally de-horning and trafficking two rhino horns (front and rear), back in 2014, why didn’t the Vietnamese Cites Officer who has been friends with Mr Huong Que since 2014 pick this up, and act upon it? CITES VIET NAM: Where did the alleged “14 rhino come from” that has been stated in press and media as being “exchanged” from another safari of which we have since located is nothing but a construction site, with major land clearance problems? Out of the 108 animals that died, were there any rhino deaths, and if so where are these rhino carcasses now, and the horns? VINPEARL: We request paperwork from My Quynh Safari/Vinpearl Safari that can categorically back the claims up from Vinpearl and Cites Viet Nam relating to the 14 rhino on Vinpearls Safari. If Vinpearl did take 14 rhino from My Quynh Safari, then that paperwork will be held by Vinpearl, My Quynh Safari and Cites Viet Nam. If no paperwork is shown then we can only but continue questioning? VINPEARL: We request paperwork that shows all animals imported from overseas went through the correct quarantine protocols, were inspected for disease, stress, and underlying medical conditions. Furthermore we also request the name[s] of who signed the animals off that have been reported as dead as “fit to be released into a newly built safari”? Image: Someone begins demanding posts are removed about Vinpearls alleged corruption. A recent press article released today stated that the Cites Vietnamese Management Authority inspected Vinpearl Safari grounds, and found that no illegal activities had occurred. The following points we’ve located regarding Vinpearl Safari and the only African supplier are listed below for ones immediate attention. 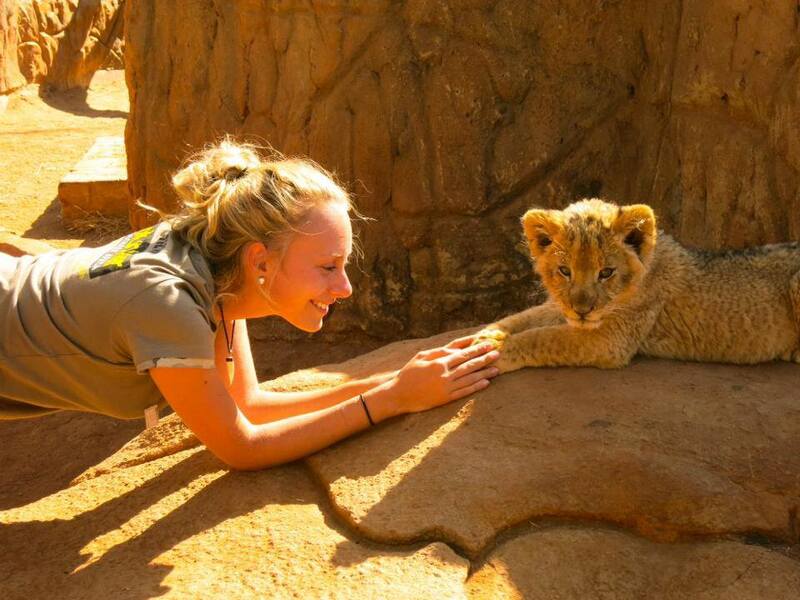 While we can take on board that some animals may suffer ill health, a newly established safari, that is professionally run, hosts expert zoologists and is owned to a multi billionaire just doesn’t see 108 animals die. A professionally run safari and the breeders themselves simply don’t allow some 12 pregnant animals to be transported over 10,300 kms, for some 11.5 hours. Some of the animals that have since given birth originated from South Africa, and that flight would have caused unnecessary suffering. Furthermore the medications administered could have harmed the unborn young. So its safe to say that professional and adequate veterinary checks, and surveillance were not carried out accordingly. How was it even possible for some 135 macaques to escape from an allegedly ‘well secured safari’? The safari states the 135 macaques were placed into larger cages for bigger primates. This now raises the concern about the so called locally transported rhino, that are penned in with what appears to be strong chicken wire. We don’t buy the answer that claims 108 animals simply died due to the transportation and not being able to adjust to the environment in full. These animals wouldn’t have died had the relevant veterinary checks been conducted as explained prior to shipping, and on landing. When Vinpearl hit the headlines throughout Viet Nam unidentified individuals were asked to remove press, media and Facebook posts. We have examined all of them posts of which not a single post actually proves animal cruelty, trafficking or wildlife trade. What the posts actually touched up on was; Inhumane transportation, animal deaths, speculation about the safari, who the suppliers were, and why some zoologists had indeed left the safari due to many animals dying, suffering disease and virus. Why was both Cites Viet Nam, Vinpearl, Cites South Africa and the DEA doing business with Mr Huong Que, and Mr Chu Dang Khoa? Mr Huong Que admitted to de-horning and trafficking rhino horns, and Mr Chu Dang Khoa is known to the Department of Environmental Affairs (South Africa), for dealing in rhino horns and diamonds. The DEA ‘nicknamed him as Mr Rhino Horn Billionaire’. 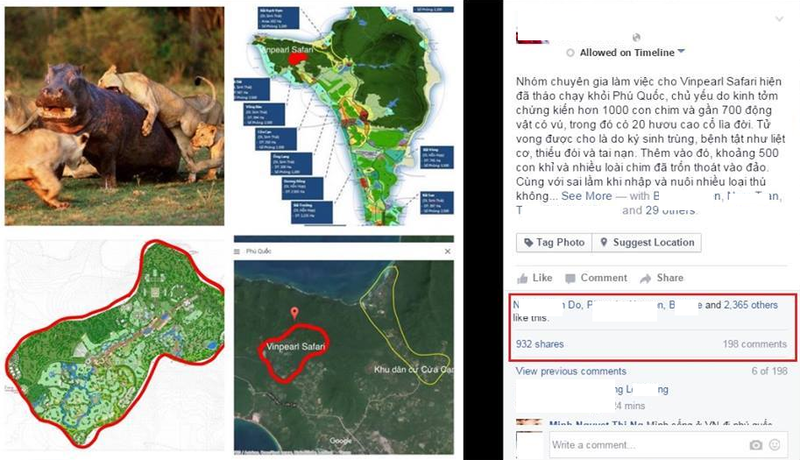 Image: Mr Huong Que who supplied Vinpearl admits to violating wildlife law. While we understand that a Vietnamese Cites Management Officer has indeed paid a visit to Vinpearl claiming that everything is all above board, we ourselves want to see proof as explained above. We believe that while the main breeder that is Mr Huong, has relations to Cites Viet Nam (see image below), then corruption could be at play here relating back to the so called visit this week stating all was okay at the safari. Image: Cites Vietnamese Officer asks Mr Que when he’ll be back home? This article will be updated as and when. We please ask that visitors to the site stay tuned for regular updates that will be dated and timed. The whole purpose of this article is to get to the bottom of why so many animals have died, why government agencies are doing business with known criminals, corruption, dishonesty, trafficking, wildlife trade, and more. We are not going to print data that cannot be proved. 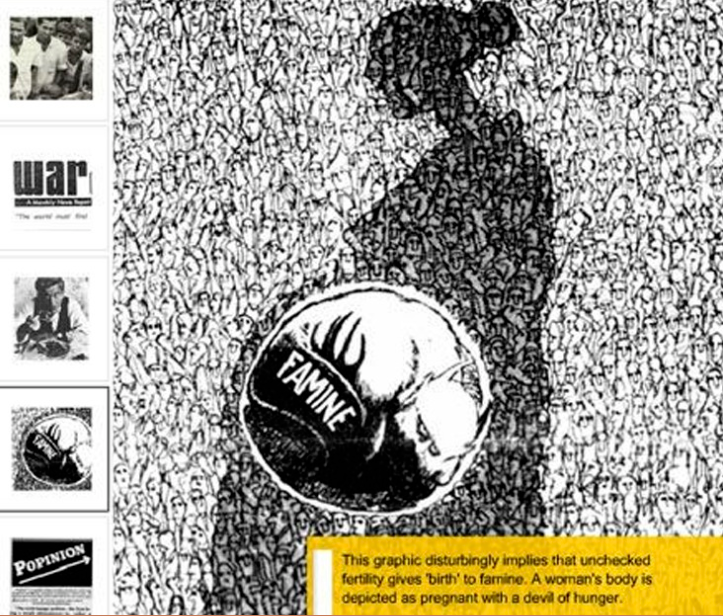 Finally this article cannot be censored by the Vietnamese Government. The people of Vietnam have a duty to know just exactly what is going on here. Its clear although not proven that people in high places are also involved here to some degree. Who are the other dealers too? Where in Europe and America did other animals come from, did Mr Rhino Horn Billionaire and ex-partner, father and others supply the entire safari, and if so what relation do they have with Viet Nams most richest man? International Animal Rescue Foundation Africa has communicated our concerns to SAPs relating to wildlife trafficking regarding Mr Que’s de-horning of a rhino and illegally trafficking them horns back to Viet Nam. If anything this man needs to be questioned about his comment, the rhino carcass must be located (if there is one), and the farm that Mr Que owns must be investigated to satisfy our own concerns and wildlife agencies that further crimes haven’t been committed on this farm. The longer it goes ignored, the quicker evidence (if any), will be concealed. One doesn’t just admit to committing a serious wildlife crime as a joke.